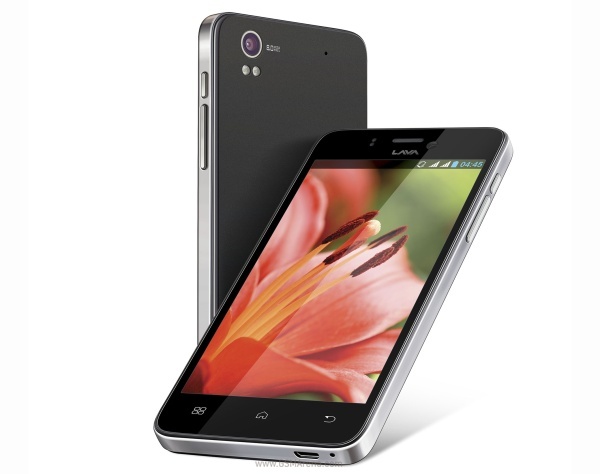 Lava has launched a new line of smartphones under the theme of "Art meets Smart". The Lava Iris Pro 30 is the first in the family and the company's new flagship. The Android smartphone measures only 7.5mm thick and weighs just 114g, which was achieved in part thanks to the slim 4.7" IPS LCD from Sharp. The screen has 720p resolution (312ppi) and puts out 500 lumens of brightness. It's a "One Glass Solution," meaning the Gorilla Glass is laminated making the assembly thinner. The phone uses Content Adaptive Backlight Control, which Lava says, results in 30% better battery life. The battery is fairly thin too and packs 2,000mAh capacity. The device weighs 114g in total. It's not the thinnest or lightest smartphone ever, but the ones compact as this one are quite rare. Anyway, the Lava Iris Pro 30 runs Android 4.2 Jelly Bean on a quad-core 1.2GHz processor and PowerVR SGX544 GPU (we're guessing a MediaTek chipset, so Cortex-A7 CPU cores). The phone is USB OTG enabled, and features voice and face unlocking, gestures like flip to mute and lift to answer/call. The main camera uses an 8MP BSI sensor and dual-LED flash. It can record 1080p video and shoot panoramas. There's a 3MP front-facing camera, too. The Lava Iris Pro will cost INR 16,000 in India ($260, €190) and Lava points out that with quad-band support, the phone will work in the Americas, Asia and Europe. What the company doesn’t say is if it will actually bring the Iris Pro 30 to those markets.